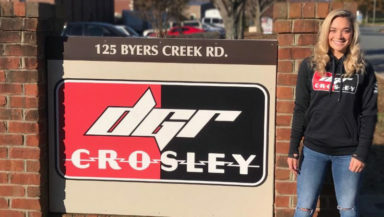 MOORESVILLE, N.C. (Nov. 30, 2018) – DGR-Crosley announced today that they have added Natalie Decker to their driver development program for the 2019 season. Decker will run a select number of NASCAR Gander Outdoors Truck Series races as well as a combination of NASCAR K&N Pro Series and ARCA Racing Series events. Decker’s longtime partner N29 Technologies, LLC will come onboard as she enters her rookie season at DGR-Crosley.